1. List 6 things that describe yourself today. But I’ll skip the last two items there. teehee! So how do I describe myself today? 2. Lazy – I have to start arranging and pack up my things yet I don’t have the energy to do it. 3. Tired – didn’t get much sleep last night coz of my colds and also because of little C. She woke up many times during the night. 4. Happy – that I’m going to see M again. 5. Sad – that my sister can’t come with us coz she didn’t submit her visa application on time. Also sad coz I’ll be leaving Pinas again. 6. Hopeful – that my parent’s visa will be released before our scheduled trip so they can fly with me and little C.
1. Whats one thing thats heavily weighing on your mind? 2. what’s one thing you’ve learned from a good friendship gone bad? – that good friends are hard to find. 3. whats one thing you’ve learned lately from love? 4 . is there anyone special in your life at the moment? 5. whats a happy time you’ve had in the past week/s? – having M with us for 10 successive days! 6. how far would you go for love? 7 . is there anything in your past that you’d like to do/try again? 8. whats your favorite kind of weather? 10 . who do you like to spend your nights with? 11. are you an emotional person? 12. can you cry in front of others easily? 13 . whats something that can always make you feel better? 1 4 . what does love make you feel like? 16. are you self conscious? 17 . do you think of others before yourself? 18 . where do you see yourself some time next year? 19. do you tend to make relationships complicated? 20. do you think you’d be able to survive a whole year in jail? 21. who do you feel the most comfortable to go around? 22. is there something that you’re waiting for? someone perhaps? – yep, M’s vacation leave! 23. one thing you’re looking forward to..
24. how do you feel about change? – it might not be comfortable but it’s inevitable, so just accept it and make the most out of it. 25 . any plans this summer? 26. what are your plans for your next birthday? 27. do you think someone out there is in love with you? 28. how do you feel right this second? 29. one word that describes you at this point of your life? 30. what do you think about this survey? i felt like being interviewed by Oprah! It’s amusing, some questions are thought evoking. Teeheee! Vacation in the Philippines. A 2-3 month break would be really nice. Everyone back home is excited to see little C, so I expect to meet my friends in Cebu too. Either I go there or they see me in Negros. 6. good health of my loved ones and myself too. 7. my safe pregnancy and delivery. 8. friends here and there. 9. the internet – chat programs, blogs, YouTube, Google, etc. etc. etc. This time it’s from Lazarus. I’ve been getting tagged one after another lately.This is the second meme I’m doing for this month, there are two more waiting. What I like about this tag is that it asks me to write down ten things I’m thankful for which is timely coz it will be the end of the year soon. So it will be a summary of the blessings I’ve received for this year. 1. Little C – wow! It’s amazing how we’re blessed to be parents to such a beautiful baby. I thank God that she’s healthy and growing to be a smart little girl. Playing with her is a great form of entertainment. 2. M, my husband for his love and never-ending patience especially since my pregnancy up till now helping me take care of our little but demanding baby, running errands, doing household chores, for being my driver without any complaints; driving me to attend parties, doctor’s appointment or where ever I need to be! For making marriage a fun relationship to be in. 3. For my family for their prayers and advices. And for a lot of things they’ve done for me and in my behalf while I’m away especially my parents and Cy and for keeping me company through YM. Teehee! At least I don’t get too homesick. 4. 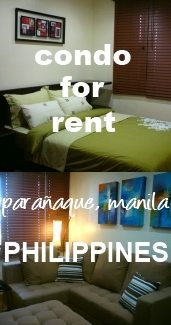 Our own flat – we’re just renting it but thank God we’ve found this place for the right price. It’s accessible to shops, bus stop, restaurants, mall, hospital and we’ve got a grand view of Prague from our balcony. It also has a little garden which is good for me coz I like plants. 4 listed down, 6 more to go in my next post!